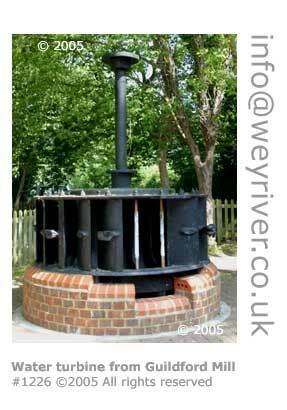 Undoubtedly spoilt by a combination of having extremely fertile land with a dependable water supply, and nestling in between London and the major Channel ports, the Wey Valley was an early developer when it came to industrial development. Richard Weston's canal scheme brought enormous benefits to the people living all along the valley, and the early development of the railways in Victorian times cemented a very industrious future. On this page we start you on your way, giving you links to choose which industry you would like to find out about. Scroll down for your first links. 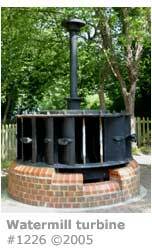 The Wey Valley provided employment for many hundreds of years to workers in a vast range of different industries. Today we are left with ample evidence of past industry. These range from the 'rope walks' in Farnham, where rope-makers would walk along backwards as they twisted the rope strands, to the carcasses of old mills and factories. The motor industry is well represented with two examples in particular. 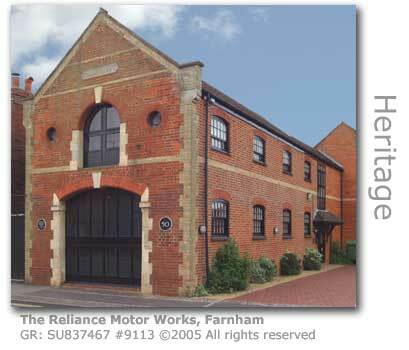 The Rodboro Buildings in Guildford was where the first vehicle production line was ever implemented, and in Farnham the building where Henry Knight built one of the country's first motor vehicles in 1868 is still standing, albeit now as an office conversion. The Reliance Motor Works is pictured at left.